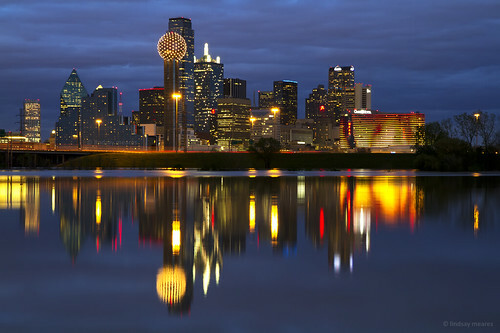 Just as this Dallas skyline casts a similar reflection from the water, we see the same pattern in the web industry as corporations copy the startup space to catch up with customers. My career mission of Web Strategy is to help companies connect to their customers using web technology. I see a rift occurring between companies and their customers. My mission is to help companies close that gap. There’s a Natural Order to Things. Death begets life, winter moves into spring, and corporations follow what consumer startups do. This pattern, which we’ve seen as uncountable at times, is a predictable one. As Friendster, MySpace, Bebo and Facebook arose, we witnessed the rise of corporations building their own branded communities using software from Jive, Lithium, Mzinga, Telligent, and a ton of other players. We also watched as Mark Benioff of Salesforce declared the “Facebook Imperative” and launched an internal enterprise version, Chatter, to solve inter-personal communications inside of the largest companies. Pattern Analysis: 1) The internet emerged, then corporate websites (past), 2) Social media, then social business (present), and 3) Sharing startups, then collaborative economy (future). The Collaborative Economy Startups Have Risen. Over the last few years, we’ve seen the rise of the Collaborative Economy, thousands of sharing startups that are enabling people to share, gift, lend, build, develop, store, and transport goods and services to each other. They’ve used tools like Etsy (co-develop), Quirky (co-ideate), Kickstarter (co-fund), Airbnb (co-live), Lyft (co-ride), LendingClub (co-loan) Sharedesk (co-workspace), oDesk (co-work), Shapeways (co-3D print) enable the crowd to get what they need from each other rather than through traditional corporations. Get Ready for the Enterprise Versions to Emerge. Now, we must be prepared as enterprises and corporations seek to build their own programs to catch up to their departed customers. Savvy enterprise-thought leaders at solution providers have shared their ideas, from Dion Hinchlifee at Dachis Group on the Enterprise Irregulars, or long time IBM executive, Irving Wladawsky-Berger, who sees the path, top Salesforce system integrator, Magnet 360, sharing their recap, or Deloitte’s John Hagel and John Seely Brown, who write about this new market opportunity, and acclaimed economist, Tom Friedman, in his New York Times post. The corporate thought leaders see the opportunity and are preparing for this next phase of the internet. Venture Capitalists Fueling the Movement. While VCs sometimes have been wrong about prior movements, we’re already seeing an increasing number of them who are dedicated to, and focused on, this category, they include: Collaborative Fund, Andreessen, and new firms, like Structure, fueling the way for new growth. Social business VCs, like Emergence, August, Sequoia and others, will help cascade the enterprise versions further forward. Read my analysis and meet the investors of the collaborative economy. Brand Pages. Just as Facebook and LinkedIn launched their own brand pages for corporations, I expect to see these same consumer-focused, sharing startups offer a dedicated location for brands to participate. Imagine if Airbnb offered brand pages for local properties at exotic resorts from a top name hotel chain? What if top real-estate property managers could have their own listings on shared office space players like Liquidspace? White-Label Software. The term “white label ” is a term that describes offering brands the opportunity to skin software to match their brand identity, just as Lithium can be customized for any brand look. Expect to see marketplace software or Etsy-like software that can be branded for any corporation, providing a customized experience. Imagine MarriottBnb or Macy’s allowing their own customers to create and share products among each other. Right now, I know of one open-source, Kickstarter tool called Selfstarter (by Lockitron) that’s available for anyone to download and use. I expect a new class of entrepreneurs to emerge to address this opportunity. Social Business Software Platforms Reconfigure New Features:. I’ve spent time with a variety of social business platform players (and have more on the calendar) to tell them about the next phase of features that must emerge. Any community platform, collaboration platform, insight platform, or brand monitoring platform is ripe for emulation and joining this next phase. In social business, we know these players as IBM, Jive, Lithium, Bazaarvoice, Salesforce, Adobe, Oracle, and Telligent, for example. Developer Platforms and an Ecosystem of Applications. Expect big players like Uber, Airbnb and Lendingclub to offer Application Programming Interfaces (API). Heck, oDesk briefed me that they already have some read/write APIs available that enable companies that use their services to manage large batches of online jobs. Expect that the rest of the players will launch their own platforms, allowing a thousand flowers to bloom as a new developer ecosystem emerges to create new value out of these large communities. We witnessed this when Facebook launched its own platform at its f8 conference. New Analytics Players and Integration Software. Just as we saw the rise of social brand monitoring, social sentiment and new forms of index players like Klout, Kred, and PeerIndex emerge, expect to see new forms of analytics players emerge as well. As APIs emerge from the startups (for example, Airbnb has massive amounts of data), expect a new class of data brokers to emerge, just as we saw in social, like Janrain and Gigya. An Effort to Standardize Data and Reputation Systems. Already, in the startup space we saw TrustCloud emerge, which sought to standardize reputation among the various startups. I expect the collection of startups involved in Peers.org (an advocacy group for the movement) to foster discussions that will lead to new forms of data standards. In general, I’m bearish on these standardizations happening, as I’ve seen many efforts in the past launch, but fail to obtain mass adoption. System Integration and Consulting. All of this new software requires integration. New players will emerge and existing players will have to obtain new skills. I’ve spent a lot of time with Magnet 360 which has hired me to speak at their conference, and to clients who have already published their thoughts on what this next phase could mean. Management consulting firms will also make the move, offering new, larger solutions for business model transformation during this big change, providing embedded consultants years of work at large corporations. Agency and Interactive Capabilities. I’ve spoken extensively to innovation leaders at Wunderman and Kelby Johnson about the opportunities. Just yesterday, I spoke with digital agency T-3, which sees the opportunity to help their clients with a planned roll-out of their own programs. These agencies can provide strategy, consulting, content, implementation, branding, and ongoing management through community management, analytics, and other various support services. New Conferences and New Thought Leaders. Expect new conferences and workshops to emerge that will help corporations and their partners build these programs, along with a new class of thought leaders that will help guide the industry forward. These patterns are inevitable: Startups, fueled by VCs create new efficient tools and technologies. Customers move, companies follow, and a new industry is born. Then the process repeats itself. It’s as inevitable as the tides, sun and moon, and rotation of the planets. I’d love to hear your thoughts. Please comment below. If you want to dive in deeper, read the full research report, and see the Slideshare storyboard on the Collaborative Economy. Based on patterns in other markets, what do you expect to see as this next phase of internet business emerges?